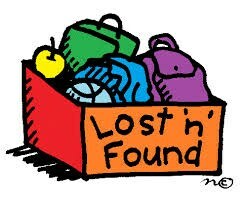 On a daily basis more than 10 articles of clothing are found and stored in our Lost & Found box in the cafeteria. We strongly suggest parents and students label their clothing with their name and grade in order for us to be able to found lost items back to students. At the end of the school year items still in the lost and found are donated to charities. Please reclaim your child's item before then if you wish to get it back.